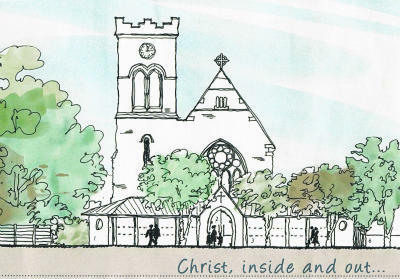 For many years St. Chad’s Church has held a vision from God to partner with its local community in much greater ways. The church has stood for over 110 years, and is held fondly in the hearts of those who have grown up in Chadwell Heath, but God is calling us to be more than just a church that meets people at the touch points of their lives. Steadily the church has grown in its missional activities, reaching out to young and old alike, but as the town has grown, so the needs of those around us have grown too. In the 1990’s God really began to stretch our thinking in terms of the way we can relate to our neighbours. We have a wonderful site, with space for parking, and space for purpose built facilities that would enable us to expand greatly our outreach and support of those living in Chadwell Heath. We hold a vision to bring the worshipping centre of our complex up-to-date and more welcoming to those in our locality. Whilst keeping the reverence of our existing church building to glorify the Trinitarian Godhead, we seek to modernise and extend it, drawing more and more people into the wonder and joy of Jesus Christ through His church here in Chadwell Heath. We also hold a vision to live out our discipled lives for those that God has placed us amongst, reaching out in mission and evangelism in our local context with the love of Christ, the Light of the world. We believe that as a church we can welcome people into the family of Christ, offering a vibrant worship space where people can deepen their relationship with each other and with God. We want to modernise our worship space and make it more diverse in its use. We want to offer parents a place to come with their children where they can relax and not be conscious of making a noise, and offer comfortable seating to those with weary legs. We want to expand our ministries across the board, enabling everyone to know and worship the Lord in a warm, comfortable environment. As a church we are already growing – we want to make good use of all of our space and provide a new area where people can mingle after a service and enjoy each-others company. Our refurbished church building will help us achieve all of these goals, but we’re not here just on Sundays. Through our own initiatives we have grown in knowledge and understanding in terms of running and managing successful holistic support for others, but we have also consulted local leaders and other interested parties in order to focus our resources onto areas of social need in which we know we can make a difference. Our heart is to work more closely with families, those in financial difficulty and the more elderly in our community. Through our current Pre-School and M.C.C. (Mature Companions Club) we already serve such people, but we know we can do more. 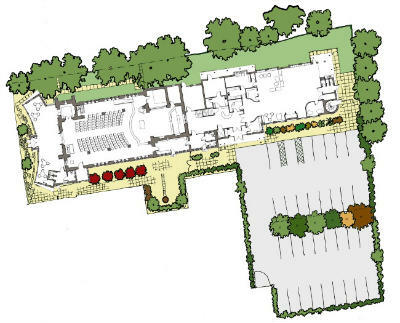 The plans you see here are simply for a building, but our vision is way bigger than having a nice building. The building will be a tool to bring support and encouragement to our community. We want to provide more provision for children and young people right across the week and also be a place of friendship for our elderly, more isolated folks. We want to help families through Parenting Courses, Marriage Courses, Debt Advice etc. We will seek to partner with other agencies to provide Adult Education, Counselling, and Family Support. We will be able to host a Family Contact Centre for parents to be able to be re-united with their children in a safe, accompanied space. Or we will simply offer a coffee bar where locals can meet and build relationships together. Beyond social care we will also offer space to relax with rooms and a large hall available to hire for clubs and parties. All of our rooms will be built to high standards with audio/visual capabilities as standard. Whether it is business meetings or fun sessions, we want to be a resource for people in all aspects of their living. The range of activities a refurbished church and new hall complex will offer us is limited only by our own imagination, but we know Chadwell Heath needs a place for people to come to. It’s an exciting vision – why not come along and be a part of it?? We would love you to join us.